[twitter]A very popular picture of wine with numbers instead of labels has been floating around blogs, Facebook, and Pinterest lately. It’s basically a very clever grown up advent calendar. There are all sorts of Advent Calendars that have taken the marketplace by storm this year. In addition to the wine one, there are Lego calendars, craft ones, and of course your traditional chocolate calendars. Add to that list this piece of genius: The Craft Beer Advent Calendar. Saskatoon-based artist Augusto Kapronczai designed the Craft BEERADVENT™ Calendar that stocks treats from Craft Beer Importers Canada. 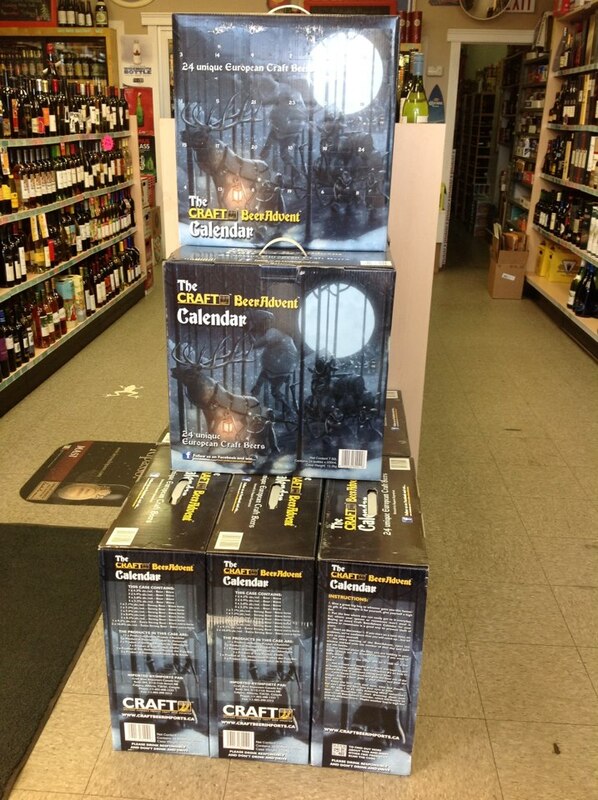 The 2-4 of unique beers in a numerically scattered case complete with little doors to open to reveal your prize, landed on store shelves before Halloween and immediately sold out. My wife is in the wine industry and was able to instantly pounce on a pack, and this evening I cracked my first treat: Kellerbier from Ayinger. 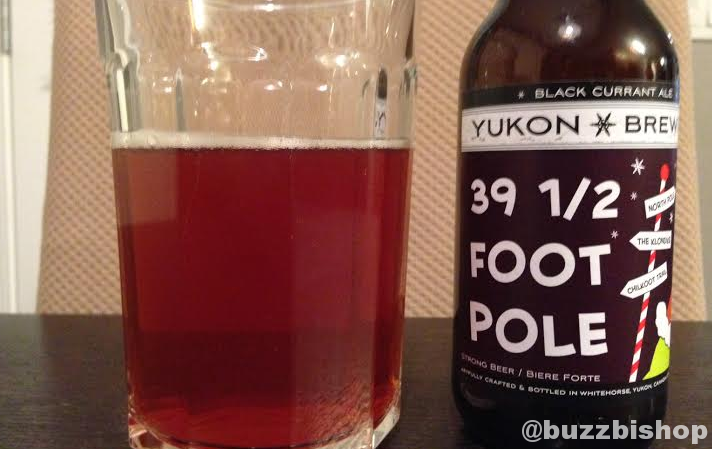 Welcome to the first day of the BeerAdvent (TM)! 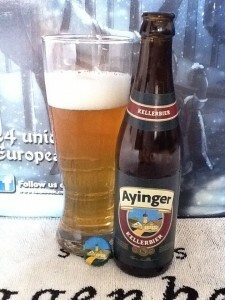 We start your 24-day beer journey with Kellerbier from Ayinger Privatbrauerei, a legendary Bavarian brewery. Kellerbier (also sometimes known as zwickelbier or zoigl) literally translates as “cellar beer”. This is in reference to its storage in cellars as part of its maturation process. Kellierbier is unfiltered, so don’t be surprised by the slight haze in this yellow-coloured beer. A high level of carbonation helps the beer form a thick head and creates lots of beading (bubbles rising through the glass). 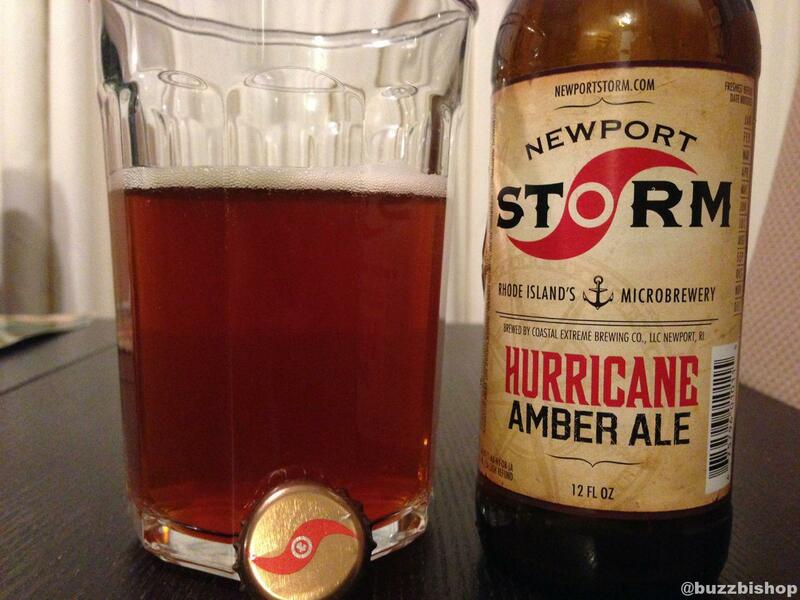 Notice the grassy aroma and flavour, which comes from the use of German hops. Despite this hoppiness and a flavour that favours with bitter side, the beer has a firm maltiness which provides some balancing sweetness. I bragged on Twitter about the treat and instantly was flooded with requests from guys to grab their own. Well, it’s sold out. 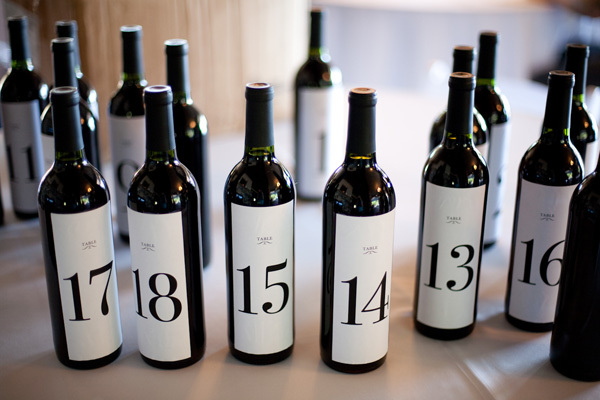 But … just as with the Wine Advent Calendar, this is very easy to DIY. Grab some unique beers, put them in paper bags and scribble a number on it. Drink and repeat until Christmas Eve. 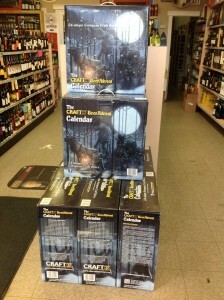 Where do you get these beer craft calendars?